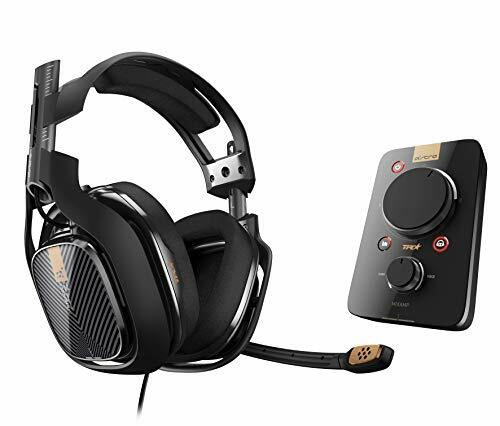 Want to fully immerse yourself in your favorite video games without having to spend thousands of dollars on pricey surround sound systems and game room setups? 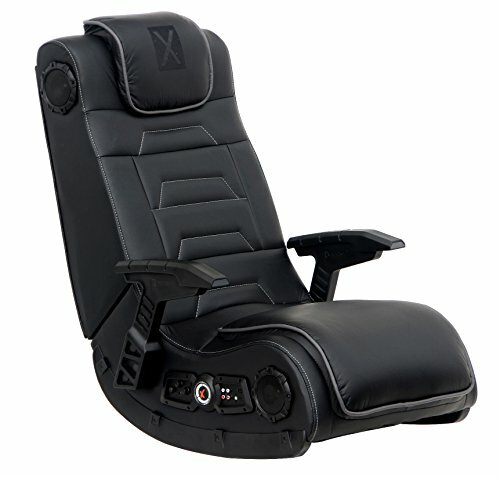 If so, you’ll definitely want to start looking into gaming chairs like the X Rocker 51396. Today, we’re going to do a full review of this chair that covers every aspect of it from the comfort level to its basic functionality. 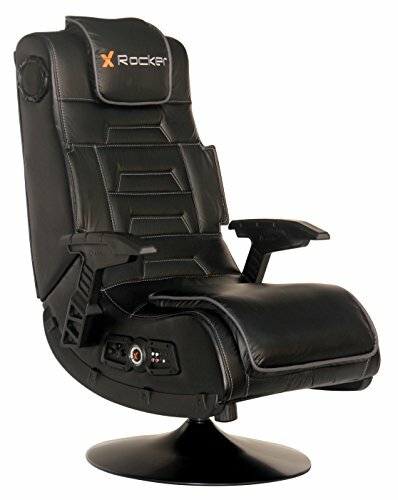 X Rocker is well known for their line of quality gaming chairs. They make awesome chairs for practically every gamer from the casual teen player to the dedicated adult gamer. If you want a chair that provides ultimate comfort, a fantastic auditory experience, and more – the 51396 may be exactly what you’re looking for. Overall, this is one of the most feature-rich gaming chairs you’ll find pretty much anywhere. Other models have more basic stereo speakers with inferior quality audio and have little to no maneuverability. The 51396 blasts out powerful, clean audio, is capable of being adjusted several different ways, and is easily one of the most comfortable chairs we’ve tested. It’s definitely the best X Rocker gaming chair in our opinion. 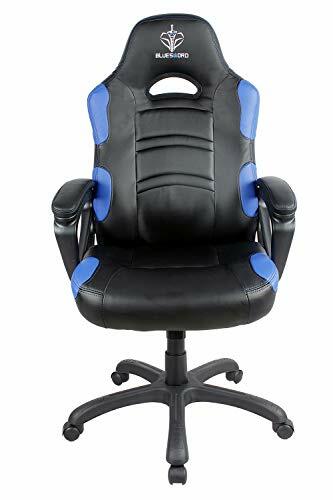 A lot of gaming chairs tend to either be very stiff or they’re made with hard woods or metals that actually poke through the bottom or back of the chair. This can make gaming for extended periods of time rather uncomfortable. This X Rocker chair, on the other hand, is well padded and perfect for sitting down and really getting into your games for hours on end. The back, headrest, and bottom are all very cushy. Not so much that you sink and feel like you’re being enveloped by the chair, but enough that your muscles don’t get fatigued or sore when you’re gaming for a few hours or even pulling an all-nighter. This model makes for a great gaming chair for Xbox One. The pedestal the chair sits on is actually incredibly sturdy and, unlike other chairs that have a similar feature, it’s wide enough that the stability of the chair is great. Some models tend to have a very narrow base compared to the width of the chair itself. This often causes an imbalance which can make the chair wobble a bit even with slight movements. The X Rocker 51396 sits firmly in place. Don’t like sitting straight up with perfect posture? No worries. This gaming chair has the ability to tilt, adjust up or down, and more giving you the freedom to choose how you want to be positioned. Many gaming chairs are very limited in movement which can cause comfort issues for some people. That’s not the case with this chair. The only thing that we found a bit disappointing was the backward tilt. You’re only able to lean the chair back a bit. Honestly, this won’t be a problem for most people because very few people want to game while lounging back insanely far (get a recliner, you bum). The armrests are made of a heavy duty plastic. They’re a little rigid, but they provide great stability for keeping your controller hands steady. Plus, they’re ideal for long sessions because without support your arms grow rather tired of holding up a controller for a while. The arms aren’t perfect by any means and may prove a little hard for some, but, overall, they’re better than most. The next most important thing, of course, is the audio. The X Rocker 51396 doesn’t disappoint in this category. It has a built-in 2.1 surround sound stereo system that has ample power and clean, crisp sounds. It’s amazing for open-world RPGs where you really want to hear the environment around you, but it also works well with mainstream FPS titles like Call of Duty and Destiny. On games like Skyrim and No Man’s Sky you’ll really get to hear how great the audio is from this chair. No, it’s not on-par with a high-end entertainment system from a company like Bose or Polk Audio, but it’s more than enough for most gamers that just want more immersion. In FPS games such as Black Ops 3 you’ll be able to hear enemy footsteps very clearly and easily be able to tell which direction your opponents are coming from. 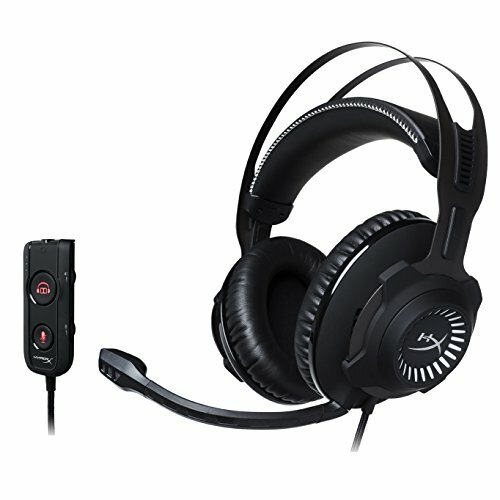 This gives you a competitive edge much like a high-end gaming headset. This is a wireless unit so you actually get a wireless adapter that connects directly to your TV (or any other audio source with component cables) to send audio back to the chair. That means there are no messy wires in the way between you and your television. The chair has a built-in wireless receiver that processes the audio from the transmitter. The chair has a control panel specifically for audio as well. There are dials for both overall volume and bass. While this isn’t as in-depth as a full-function equalizer, it’s perfect for making adjustments to get more power and more oomph out of the system. It’s an excellent gaming chair for PS4, too. Two of the speakers are located on the left and right sides of the chair (toward the top near the headrest). These are perfectly positioned as the sounds are literally directed around you which gives the audio a sense of realism. The subwoofer, on the other hand, is found in the bottom of the seat itself. It’s not super powerful, but more than enough to really dish out the booms and thumps from games (although it works beautifully with music as well). It also contributes to the vibration of the chair. Like practically all other gaming chairs, the X Rocker 51396 Pro Series Pedestal 2.1 Video Gaming Chair, sadly, does not come pre-assembled. Don’t let that scare you off, though – it’s actually very easy to put together! The vast majority of the chair is actually already assembled. Honestly, the only things you really have to worry about are connecting the base, the frame, and the armrests – all of which are a simple matter of screwing in some bolts. The entire setup process shouldn’t take you any longer than about 5 minutes. Another couple minutes are needed to connect the wireless transmitter to your TV, use the wall adapter to plug the chair itself into an electric outlet, and flip a switch to turn it on. That’s literally all there is to it. By the way… the chair comes with the necessary component cables and power adapter for connecting everything so it’s literally ready to go out of the box – there’s no need to purchase any additional wires, batteries, or anything like that. The chair is powered by an included A/C power adapter. A lot of parents have been asking about how the chair works with certain gaming consoles. Just to be clear – the chair connects to your TV therefore it is literally compatible with any console or other device you have hooked up. There aren’t any wires or connectors that touch the console at all. In addition to that, the wireless transmitter makes it possible for the chair to work well with practically any other media device that has either component outputs or a headphone jack. In all honesty, if you’re looking to get a gaming chair of this nature – the X Rocker 51396 is by far the best of its kind. It’s incredibly comfortable to sit in, the sound gives an awesome experience for gaming, and it’s actually well-priced considering everything you get out of it. We were pretty impressed with this chair. It’s made well, you can sit on it for hours without feeling sore or uncomfortable, the audio is great for pretty much any game you’ll play, and it’s built to last. A lot of these chairs are often made with junk materials that break down after a few months – this X Rocker gaming chair is pretty tough and will likely last a long while. Our biggest complaints were with the backward tilt capability and the armrests. Neither of these are substantial issues. With the armrests you could probably find foam or gel-based padding that can actually be attached to the arms with a little creativity that will resolve the no-padding issue in a jiffy. The reclining action is something you won’t really be able to change, but, again, it’s not so off-putting that we’d advise looking at another chair. It still reclines a bit and, as we stated before, most gamers aren’t looking to be completely horizontal when playing games anyway. If you’re looking for more of a professional gaming chair (the ones that look like souped-up office chairs), this is NOT the same. Be sure to check out our list of best pro gaming chairs to find one that is better suited for you if you’re looking for something like that.